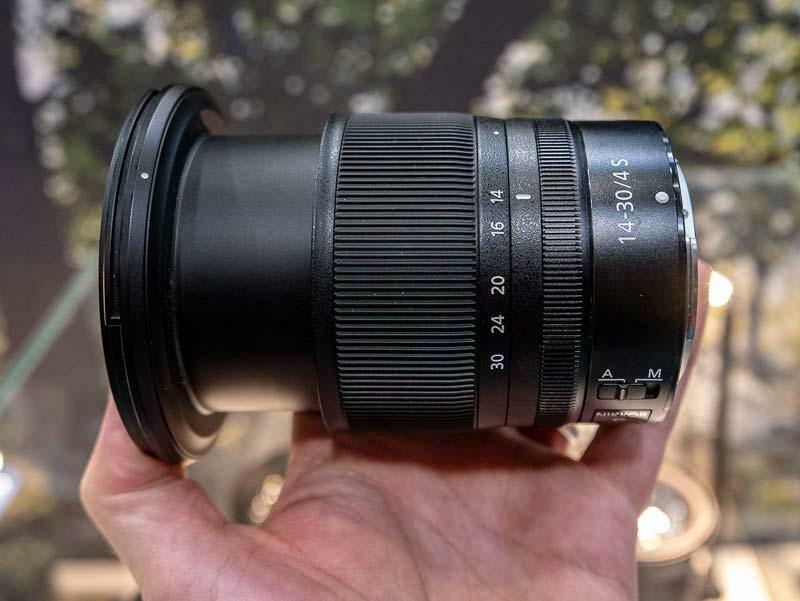 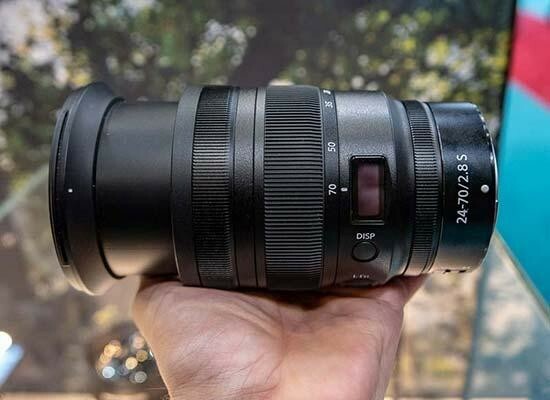 First unveiled last month, the 6 new lenses are the Z 20mm f/1.8 S, Z 24mm f/1.8 S, Z 50mm f/1.2 S, Z 85mm f/1.8, Z 14-24mm f/2.8 and the Z 70-200mm f/2.8. 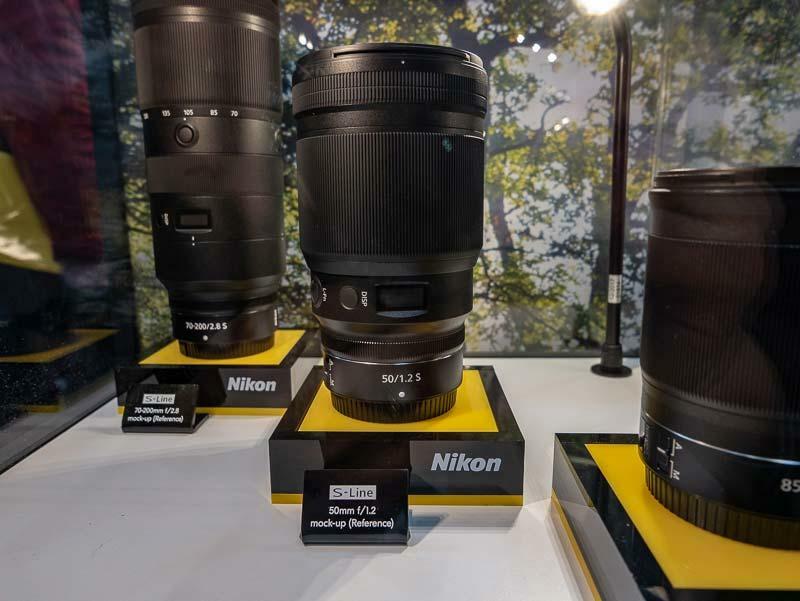 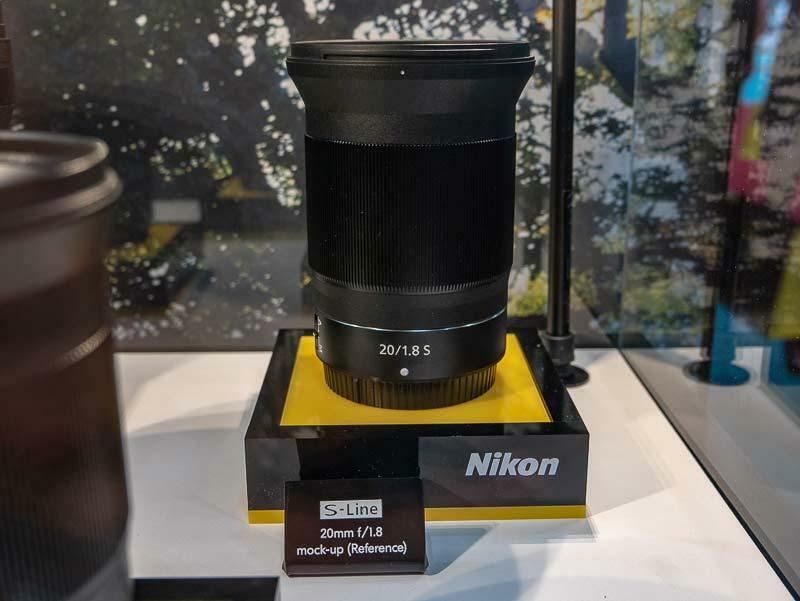 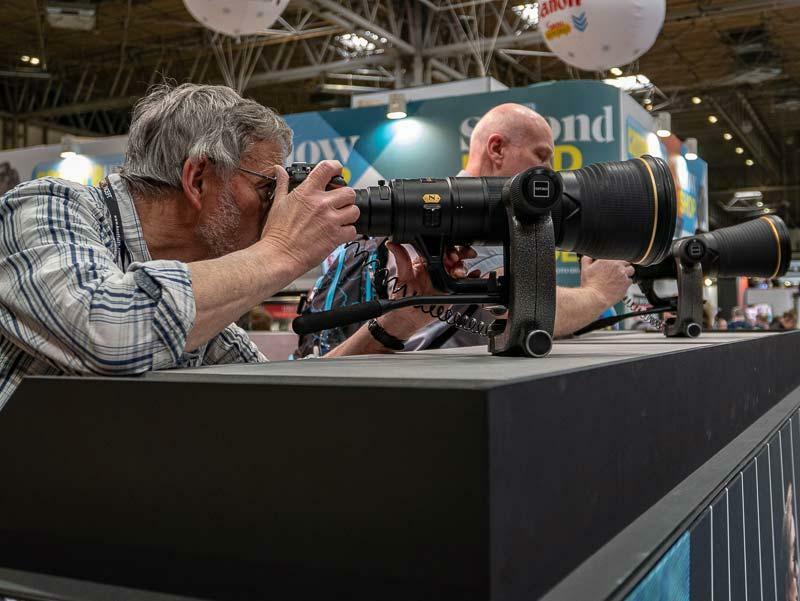 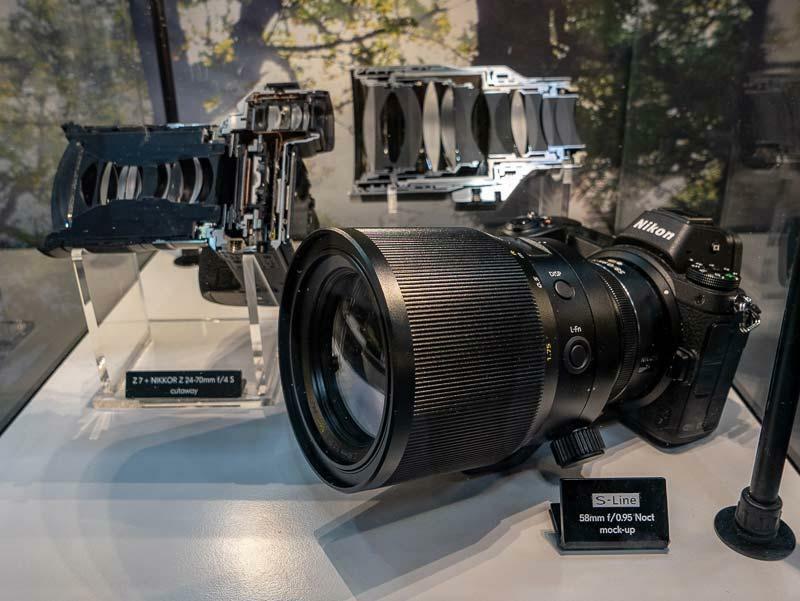 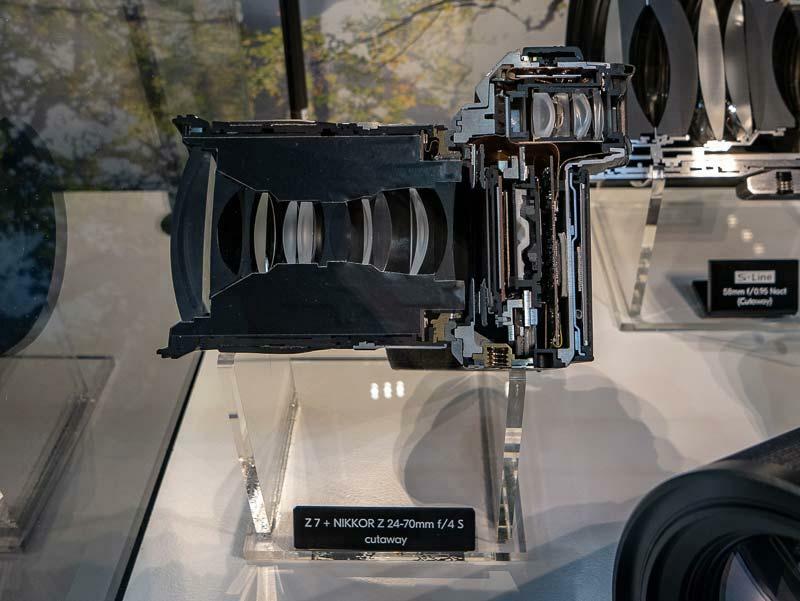 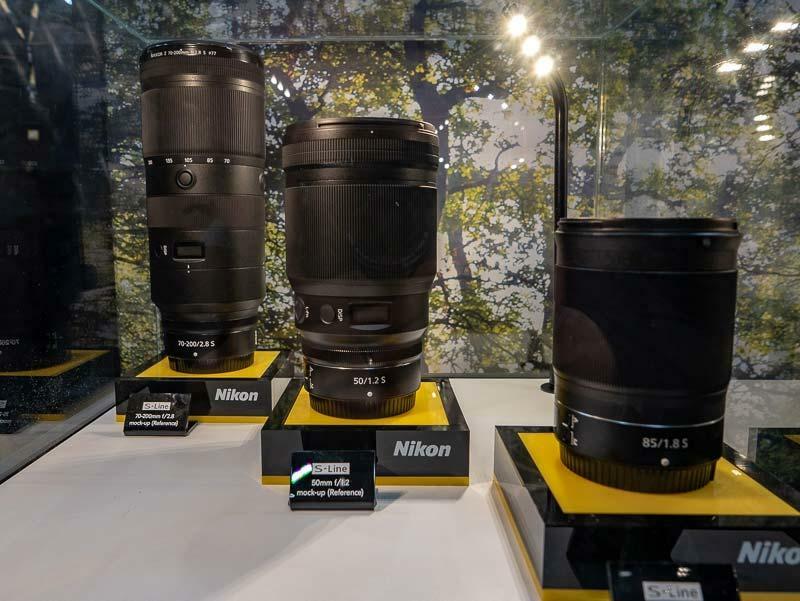 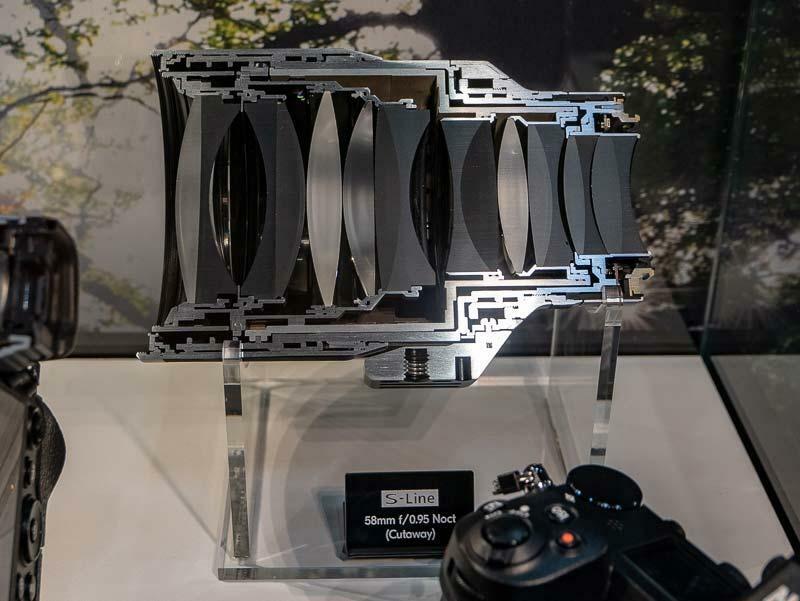 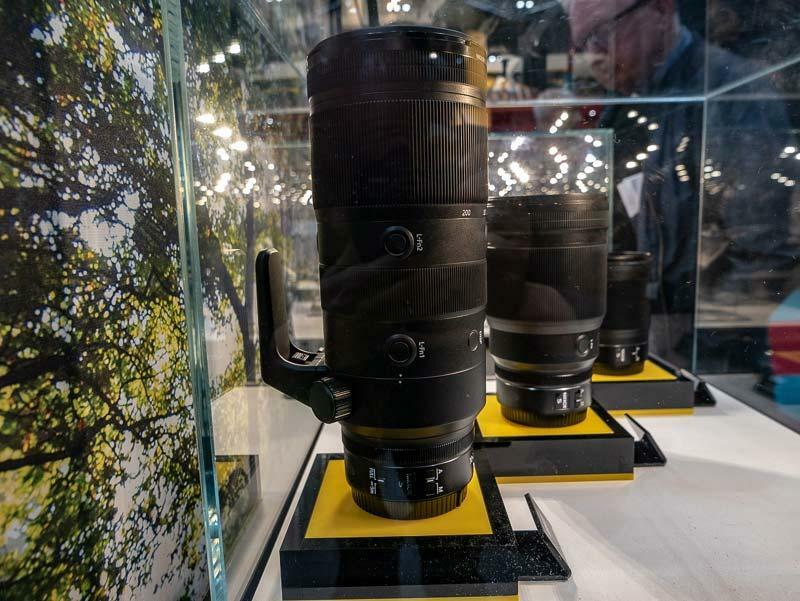 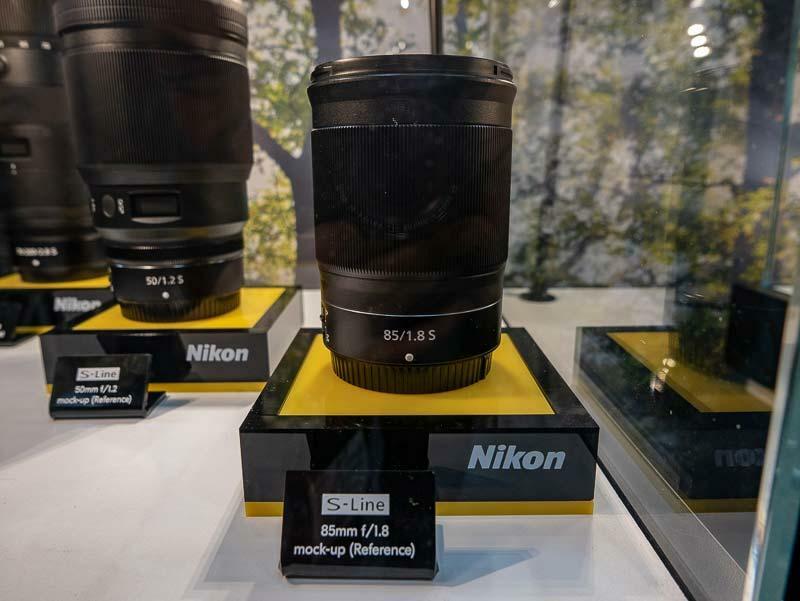 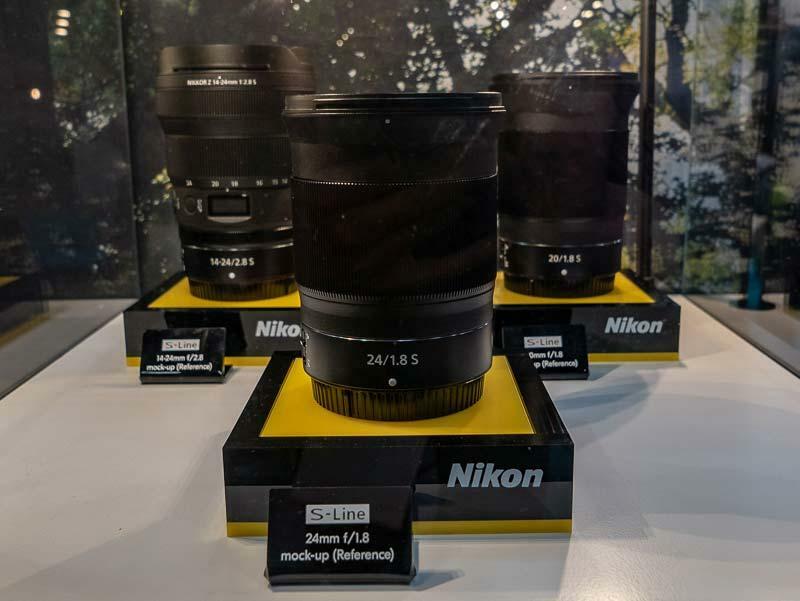 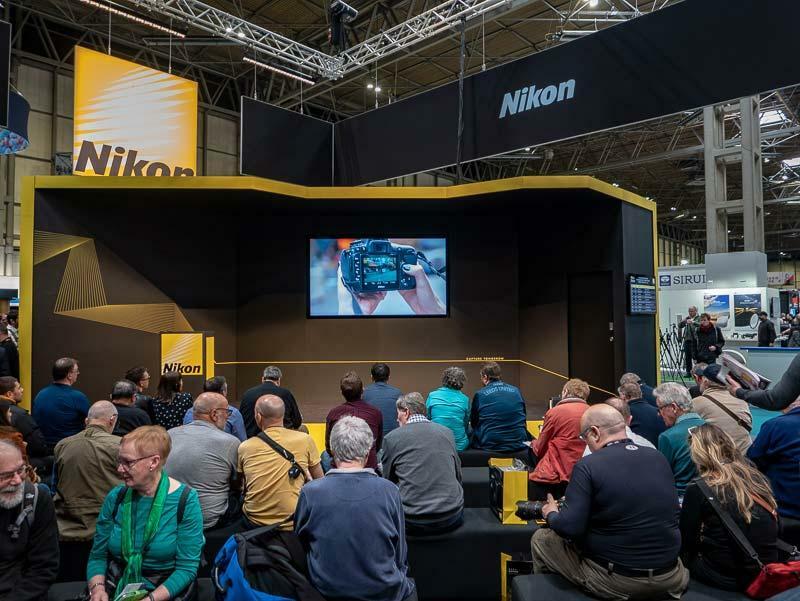 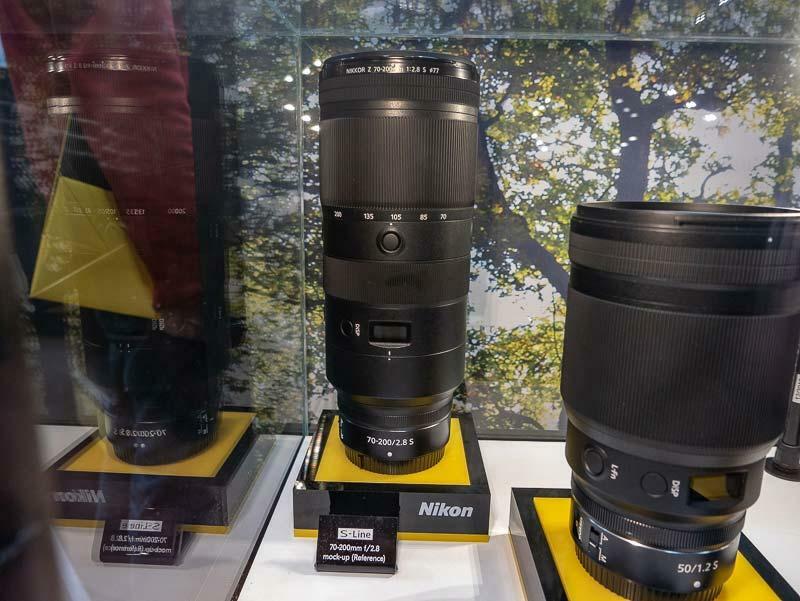 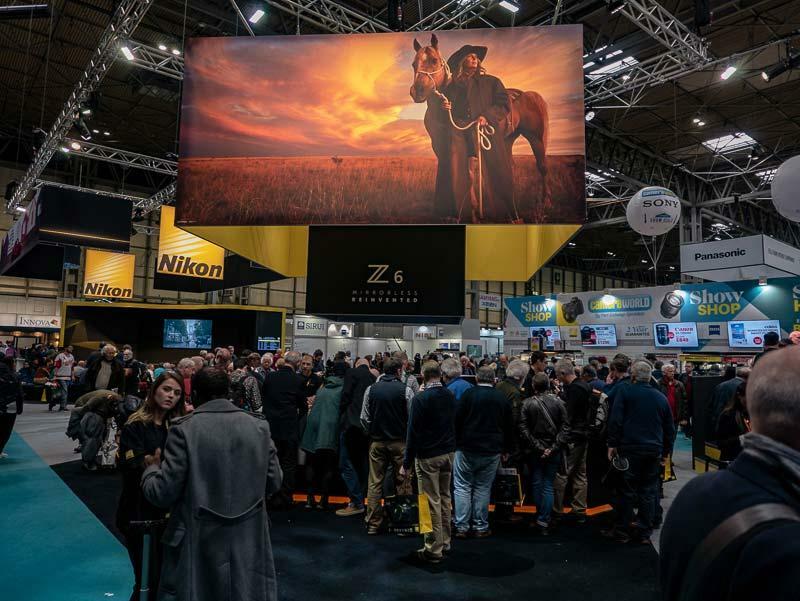 All six RF lenses are still early prototypes and are being shown behind glass at The Photography Show, along with the astonishing new Z 58mm f/0.95 S Noct, the fastest ever Nikon lens. 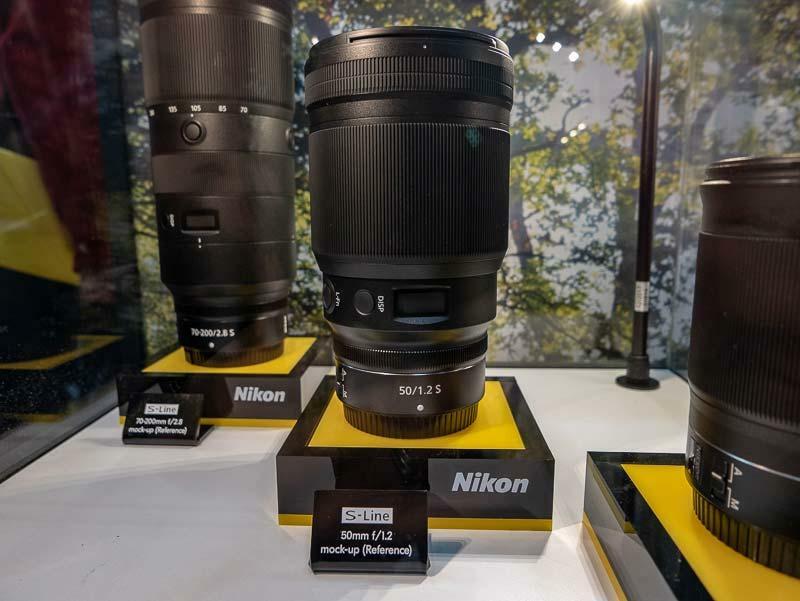 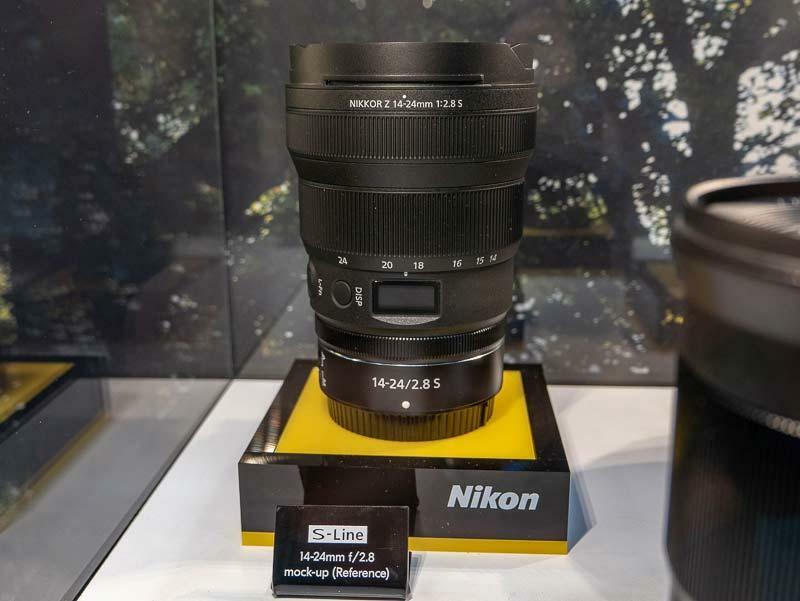 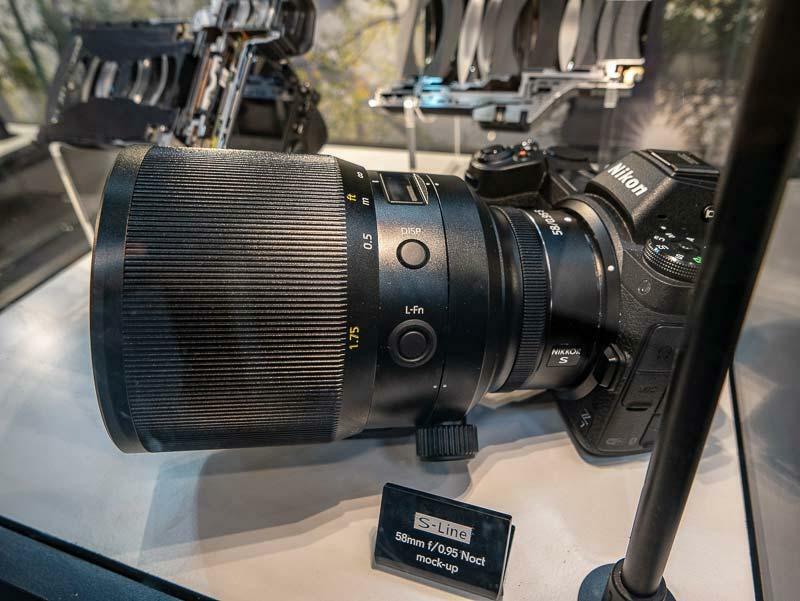 Nikon also showed us the new Nikon Z 24-70mm f/2.8 S and the Z 14-30mm f/4 S lenses, which are both due for release very soon. 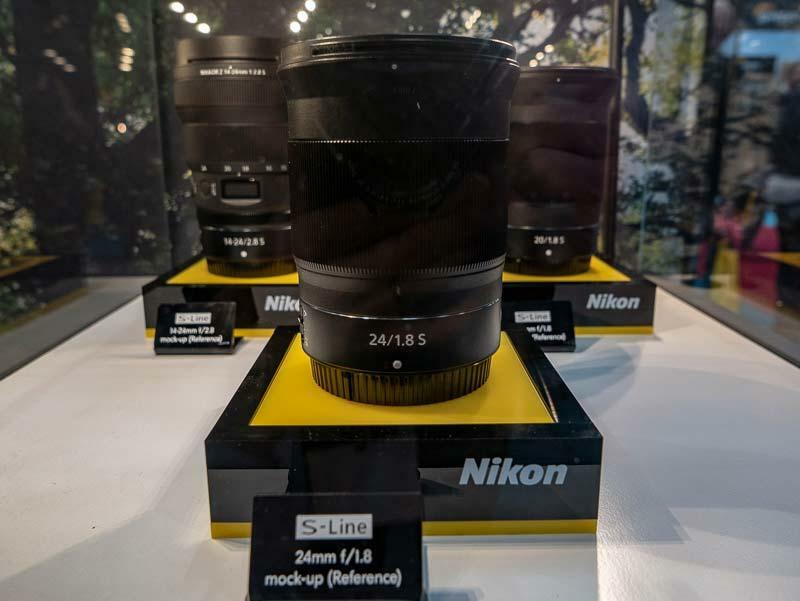 The Z 24-70mm f/2.8 S is the first of the holy trinity of f/2.8 lenses for the Nikon Z system. 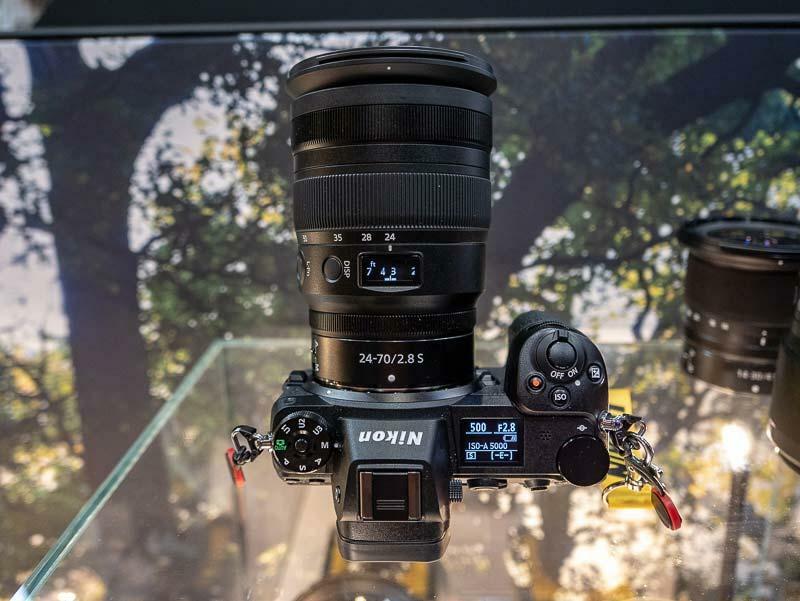 It has an innovative OLED display that can show a lot of key information about the lens and its current settings, even including a depth-of-field indicator. 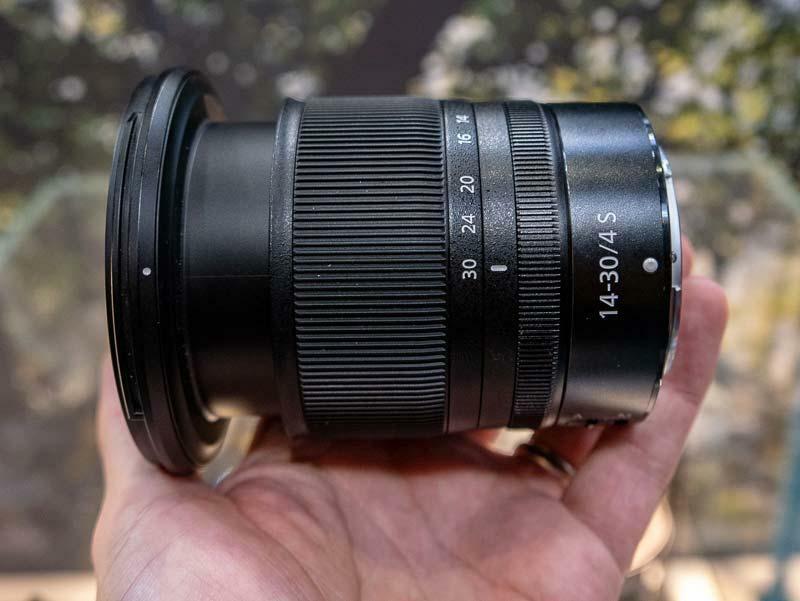 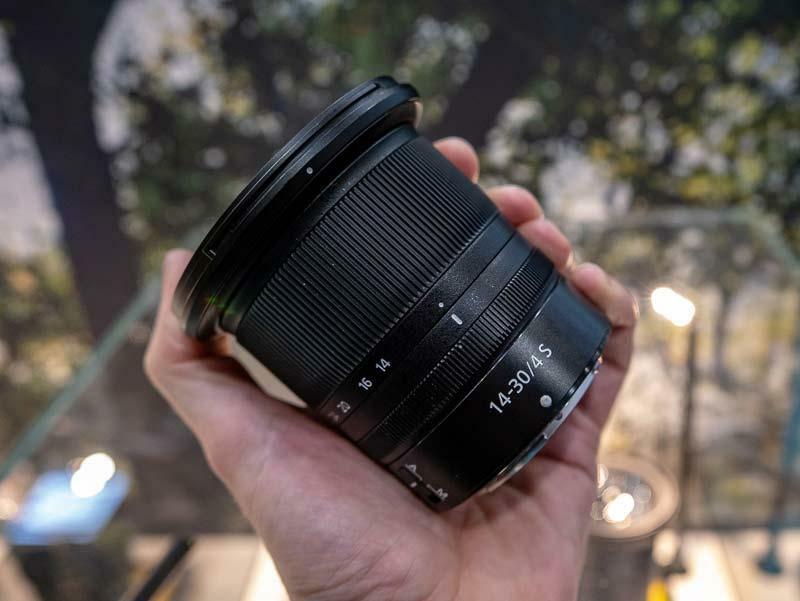 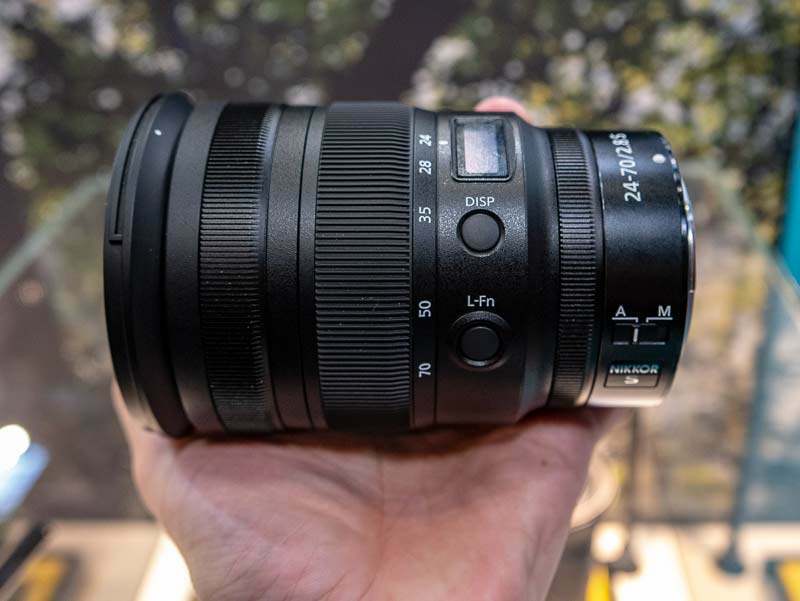 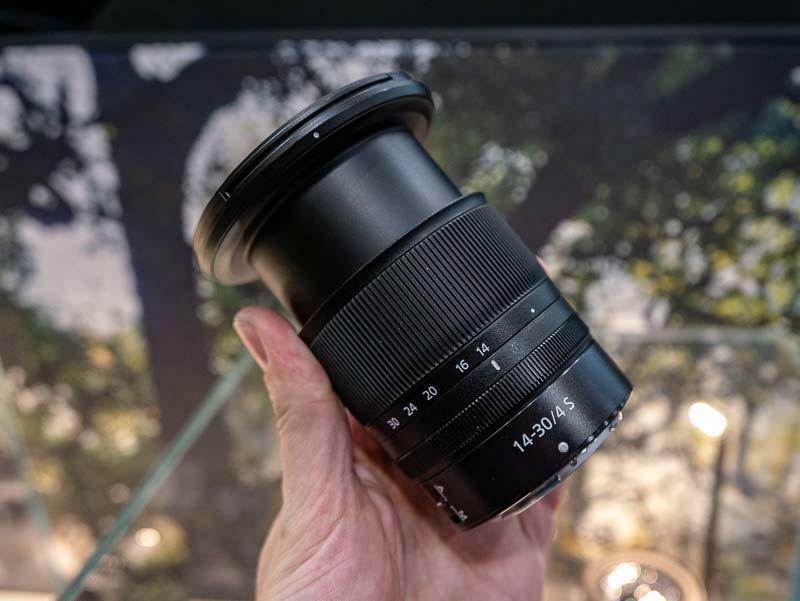 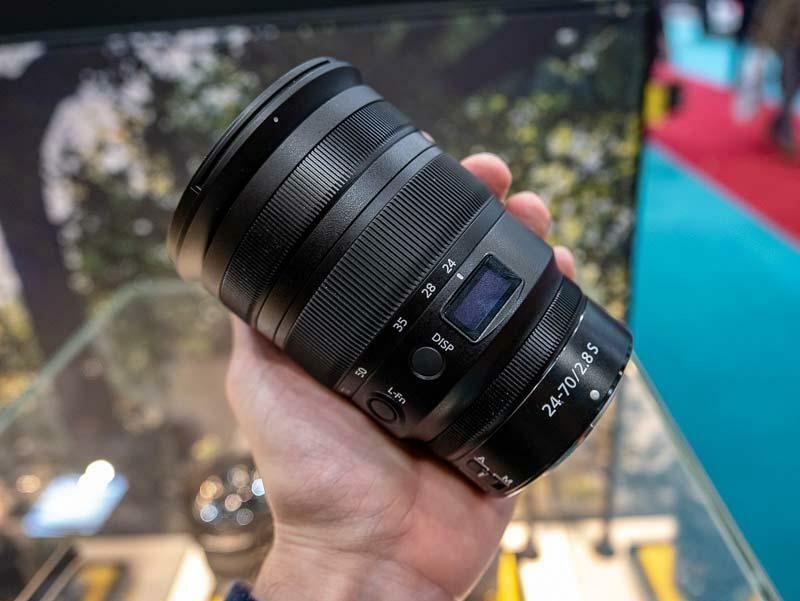 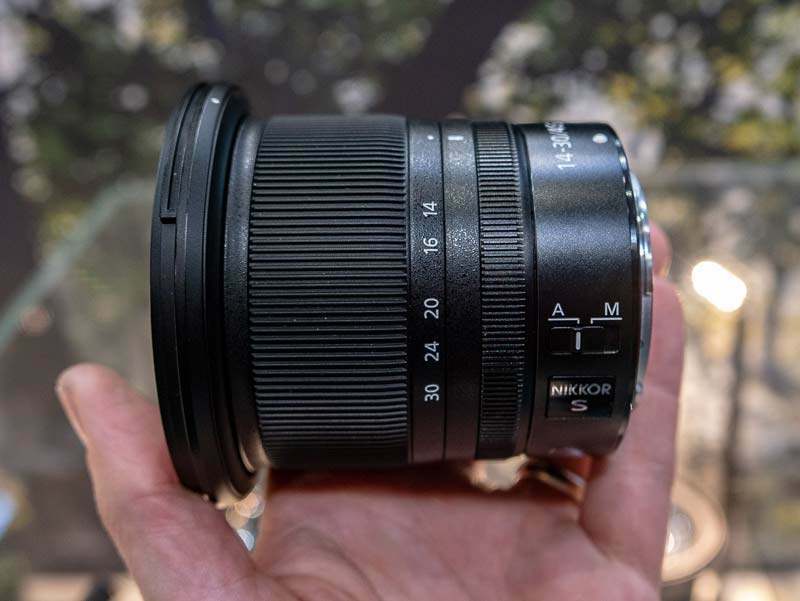 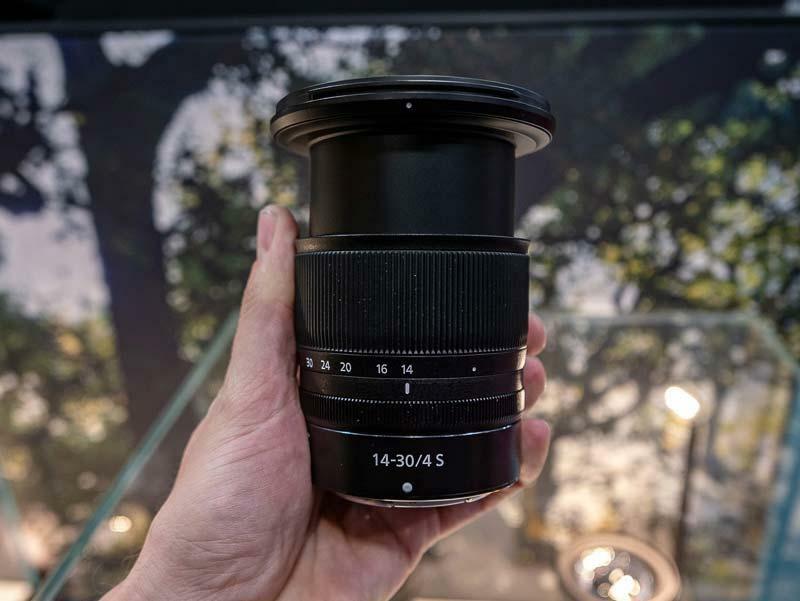 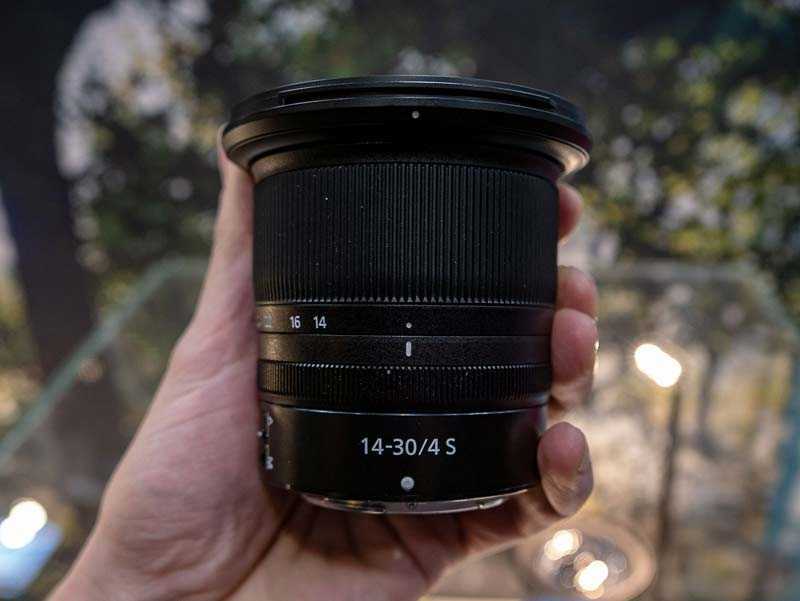 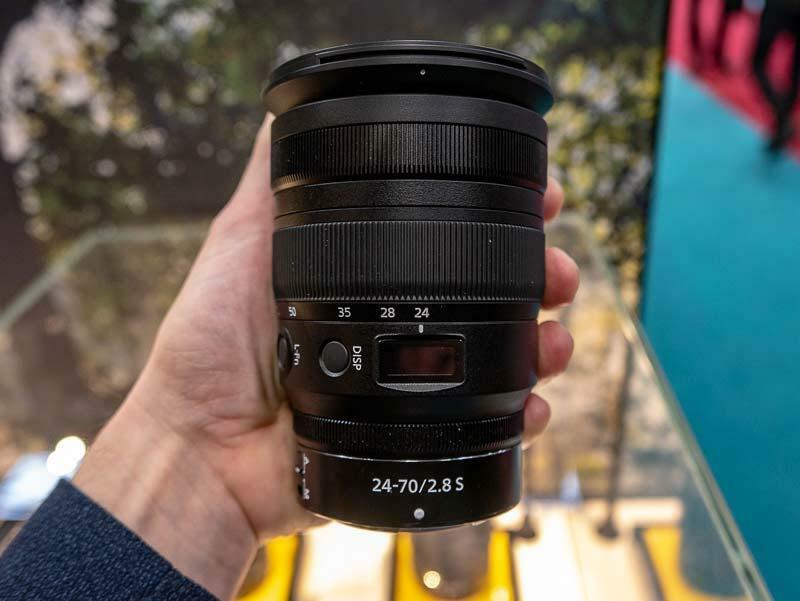 The Z 14-30mm f/4 S is a very compact ultra-wide-angle lens with a completely flat front element, allowing traditional circular filters to be fitted, something that can't be achieved on Nikon's DSLR lenses. 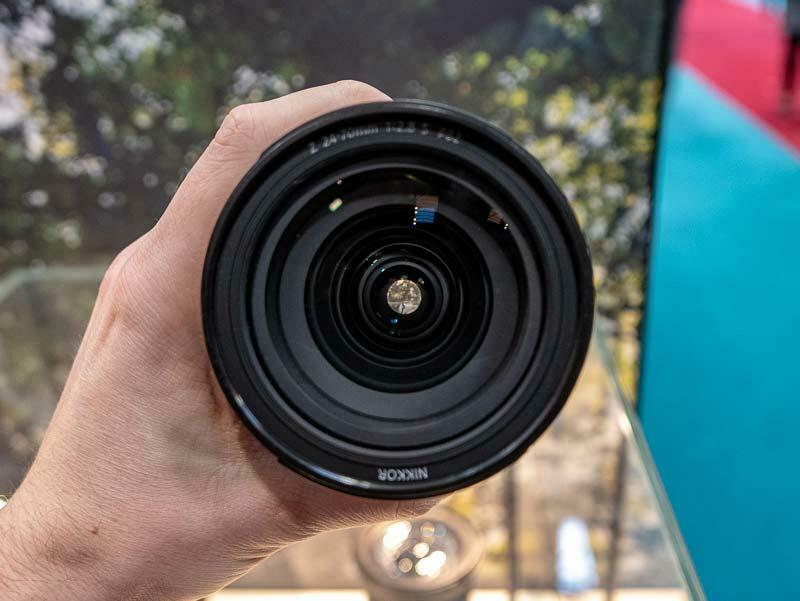 It features a retractable design that needs to be unlocked before the lens can be used, and extends to its furthest length at 14mm, rather than 30mm as you might expect.